Interested in renting a bike? Stop by Mad Dogs & Englishmen and and check out the uniquely curated lineup of bicycles, bicycle accessories, art and apparel. For many locals, this is the true treasure and focal point of our village. Although Carmel is not noted for balmy beach weather, it is deservedly famed for having what some consider the most beautiful beach in California. The sand is exceedingly soft and bright white. If the skies are clear, the water is a spectacular bright sapphire blue. Cold water and coastal fog keep the huge crowds suffered on many California beaches away from Carmel, making it a wonderful place for a meditative walk and immersion in the natural beauty of this unique piece of the California coastline. Beach walkers enjoy a breathtaking view of Point Lobos to the south, and the awe inspiring view of the the Pebble Beach golf course to the north (considered by some to be the ‘Sistine Chapel of golf’). The beach is just over a mile long and your feet can be in the soft sand after just a 3 minute stroll from the Sea View Inn porch. The tree lined streets of Carmel Village are famous for their beauty and unique charm. Spend a delightful day strolling the byways of Carmel Village, filled with interesting shops, art galleries, and restaurants. See the handmade homes of Carmel. Talk a walking tour of the Village. 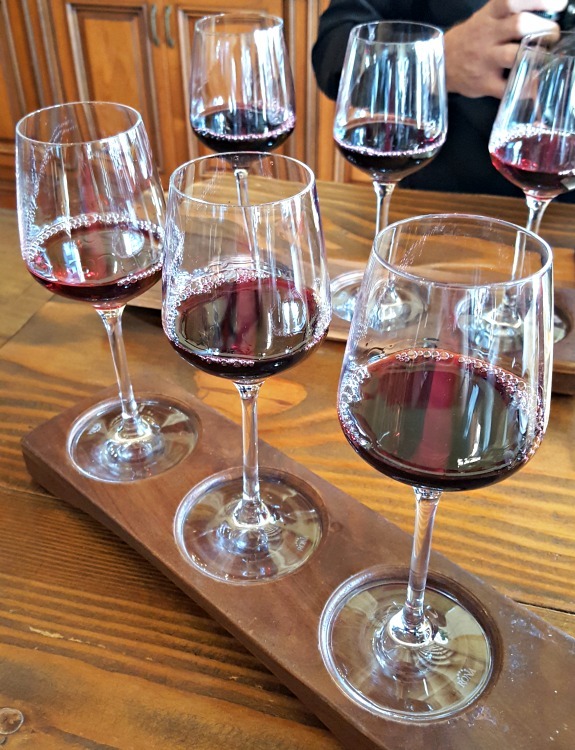 The special quality that allows Carmel Valley to transcend the ordinary is evident in the Carmel Valley wineries, tasting rooms and wine bars that are found along the dramatic valley floor. That transcendent spirit is also imparted to the wine produced in the well-drained, gravelly terraces of the Carmel Valley wine appellation (granted an official AVA designation in 1983). Try Cabernet Sauvignon and Merlot varietals, which make up 70% of the Carmel Valley AVA. Explore more Carmel and Monterey tourism information. Take a Carmel Wine Walk-by-the-Sea. Mission San Carlos Borromeo del Rio Carmelo was the second of the nine missions founded by Father Junipero Serra. Father Serra is buried, as per his wishes, in front of the church’s main altar. The building, which fell into ruins in the 19th century and has since been completely restored, exhibits classic Mission-style, fortress-like architecture, with thick, bougainvillea-covered adobe walls and a central courtyard. A Moorish-style bell tower contains nine bells and is open to the public. Visit the Carmel Mission website for more information. Home of the great American Poet Robinson Jeffers and his wife Una. Hand built by the poet himself of granite boulders pulled from the beach just below the home. Hourly tours 10-3 on Fridays and Saturdays. Visit the Tor House website for details. Possibly the most beautiful state park in all of California. This park is a true gem. A favorite of the great American photographers Ansel Adams and the Weston brothers. The park has many delightful, easy hiking trails and is teaming with flora, fauna and sea life. The entire perimeter of the park can be walked in 2 hours. More can be found at the Park website. A favorite day trip from Carmel, this 40 minute drive along Highway 1 from Carmel to Big Sur is considered one of the most beautiful pieces of coastal highway in the world. The route boasts dozens of places to stop and hike, picnic, see a gallery, or visit the Henry Miller Library. Enjoy many great restaurants and cafes to choose from along the way. Monterey's Fishermans Wharf is home to one of the largest aquariums in the world. It holds 35,000 plants and animals representing 623 species. Sea life on exhibit includes stingrays,jellyfish, sea otters, and numerous other native marine species, which can be viewed above and below the waterline. Visitors are able to inspect the creatures of the kelp forest at several levels in the building. The aquarium’s mission is "to inspire conservation of the oceans." More information at the Monterey Bay Aquarium website. Tickets available for purchase at the Sea View Inn! The palatial estate built by newspaper magnate William Randolph Hearst(1863-1951) is located near San Simeon, California, on a hill overlooking the Pacific Ocean, halfway between Los Angeles and San Francisco. Donated by the Hearst Corporation to the state of California in 1957, it is now a State Historical Monument and a National Historic Landmark, open for public tours. A two and a half hour drive from Carmel, our guests enjoy this fascinating and worthwhile day trip. Tour information and more at the Hearst Castle website.